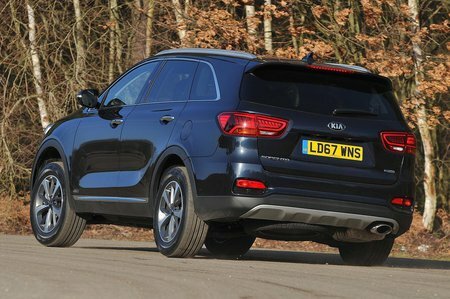 Kia Sorento 2.2 CRDi KX-2 5dr Auto 2019 Review | What Car? What Car? will save you at least £2,305, but our approved dealers could save you even more. Our favourite trim gets 18in alloys, leather seats, dual-zone climate control, heated front seats, automatic wipers and self-levelling suspension. You also get an 8.0in touchscreen infotainment system with sat-nav. The only engine available is a 2.2-litre four-cylinder diesel that is perfectly up to the job of powering the Sorento when it’s full of people and luggage. It’s a bit clattery compared with the smoothest diesels, but you rarely have to rev it hard, thanks to its muscular mid-range. Depending on which trim you go for, you can choose between a manual and an automatic gearbox.